Bell Canada, via its Bell Mobility unit, has hooked up with Hyundai AutoEver Telematics America to offer a suite of connectivity features on new Hyundai and Kia models. Vehicle connectivity has been slower to roll out in Canada than in the United States for familiar reasons; the size of the Canadian market compared with its geographic breadth, and a lack of competition among wireless service providers. Bell Canada, via its Bell Mobility unit, appears to be the first to partner directly with an automaker; it has hooked up with Hyundai AutoEver Telematics America (HATA) to offer a suite of connectivity features on new Hyundai and Kia models. Others are not far behind. Ken Gouveia, Bell Mobility’s director of information technology services, said it is in talks with other automakers, however, “I can’t divulge before they launch,” he said in an interview with Automotive News Canada. Toyota Canada said it was readying the launch of new connectivity and safety features but would not discuss details. The term “connected vehicle” covers a broad range of features from smartphone pairing to apps that allow music streaming, web-based navigation and access to roadside assistance and other services. Advanced innovations include vehicle diagnostics, the ability to download vehicle software updates and, ultimately, autonomous-vehicle operation. Some platforms create in-car wireless hotspots accessible to passengers and their devices, which the Hyundai-Bell product currently excludes. The service, dubbed BlueLink for Hyundai vehicles and UVO Intelligence on Kia models, provides features such as roadside assistance, automatic collision notification and on-demand diagnostics, as well as integration of third-party apps. “BlueLink enhances ownership by providing customers more information about – and control over – their vehicle,” said Heard. It does not require an existing Bell account, is complimentary for the first five years of ownership and fully transferrable. Heard said a fee for the service after five years has not been determined. Ford last year introduced SYNC Connect, which integrates a 4G LTE modem into Ford vehicles. When paired with the FordPass smartphone app, features such as remote locking, unlocking and starting, vehicle location and roadside assistance can be used. 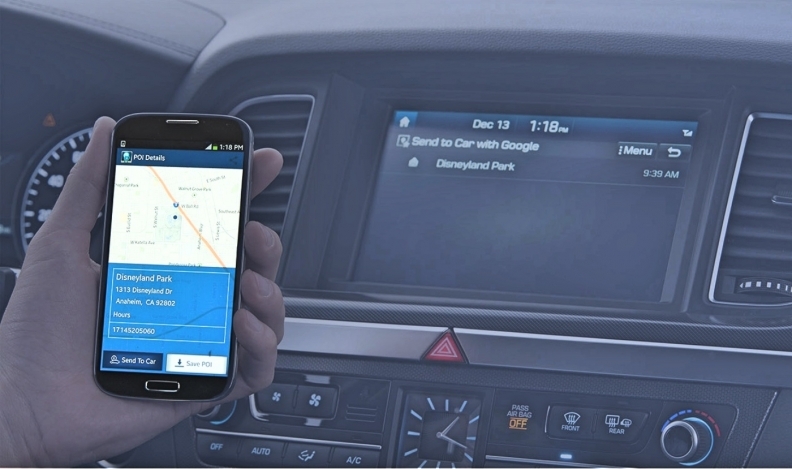 General Motors pioneered vehicle connectivity with OnStar, offering features such as route planning, anti-theft security and crash response in tiered monthly and annual plans. Many GM models offer Wi-Fi hotspots, allowing passengers to surf the Internet from their laptop computers, or with cellphones more quickly and without dipping into their data plans. Canada and the United States are different markets for connectivity, said Masha Marinkovic, GM Canada’s brand, product and technology communications manager. Marinkovic said GM Canada continues to look at different options to enhance the connected services it offers. Rogers Wireless has gone a different route, recently launching Smart Drive, a device that plugs into a vehicle’s onboard diagnostics (OBD) port to provide connectivity and create an in-car Wi-Fi hotspot. Smart Drive, which uses a connectivity platform developed by Vancouver-based Mojio, can be used with a dedicated plan or added to Rogers’ Share Everything plan. Rogers said it was the first Canadian wireless provider to offer such a device. But in September 2014, Telus announced it would offer a similar Mojio-powered device to connect to its network. Mojio marketing head Kyle MacDonald said it was a first-generation device sold directly to consumers with Telus only providing basic connectivity to Mojio’s data cloud, with no other involvement by the Canadian telco. The following year Mojio moved away from direct sales to a business-to-business approach, partnering with Rogers. MacDonald said a limited number of those devices were sold. Telus did not reply to requests by Automotive News Canada for information about its vehicle connectivity strategy. Gouveia said he believes the relationship with local wireless providers will grow stronger as automakers see their value, but projections vary on how quickly the connectivity market will grow. “I’ll be honest, the [automakers] have given us a wide range of forecasts on that side,” said Gouveia, adding that thousands of vehicles sold each year are capable of taking these services.